From simple beginnings to log dream homes (and all sizes in between) the log chalet has come a long way from a herder’s hut! The rustic character of the chalet style makes you think of sitting up late beside a fire or waking up surrounded by nature’s glory, throwing back your duvet and opening doors wide to a sunrise and a valley view. Imagine mornings in your own log or timber chalet! When you think of a chalet, you might be thinking of a homey two story house in the mountains made of wood with a simple sloping roof and broad eaves. You can probably picture the view from the balcony and bright flowers cascading from planters or window boxes. 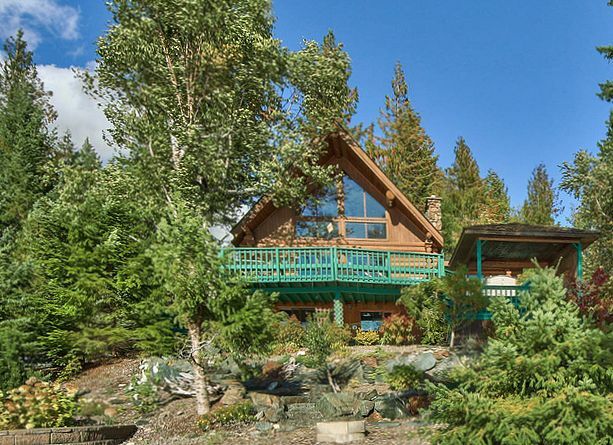 The chalet originated in high country areas where people spent much of their lives outdoors. In the European Alps cattle, sheep and goats often ranged in the mountains during the summer. The herders accompanying them lived in chalet style houses, collecting and processing milk to make butter and cheese. Winter months brought conditions too extreme for the livestock and they were moved down to valleys at lower elevations nearer towns when autumn came. The chalets with their sturdy timber structures and sloped roofs were built to withstand strong winds and heavy snow while they stood empty until the next summer. 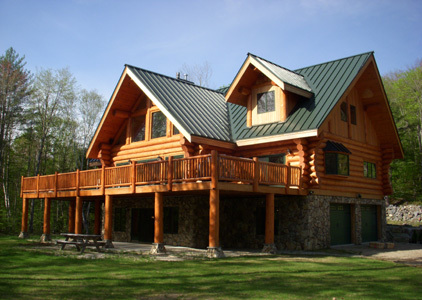 Chalet style log homes are common because their simple designs are economical to build, simple to modify and make excellent choices for hillsides and rugged country. 1. The sloping roof and overhanging eaves are perfect for shedding snow in mountain regions so you won’t worry about who’s going to shovel off your roof when you’re not at the cabin. 2. Large expanses of windows make the most of your natural surroundings. 3. So do balconies! Cross the line between indoors and out in your vacation home with added living space on sundecks and porches. 4. Two story construction means more square feet with a smaller footprint. This makes less foundation to excavate on a beachfront or steep view lot. 5. Typical open-concept living spaces with lofts encourage social interaction and family time. 6. The uncomplicated design (a chalet is basically a square) is a cost saving feature in everything from the foundation, through the log work right up to the roof. 7. The picturesque charm encourages custom log or timber accents which are aesthetically appealing AND functional, like exposed beams, elaborate trusses, timber braces, decorative railings etc. What better place to get creative than in your log or timber vacation home? What if you want something more complex? With its alpine history, versatility and solid list of practical benefits, no wonder you’re drawn to chalet style cabin plans for your new log vacation cottage or mountain timber home! Look through a few log home plans and gather ideas for your own log retreat. 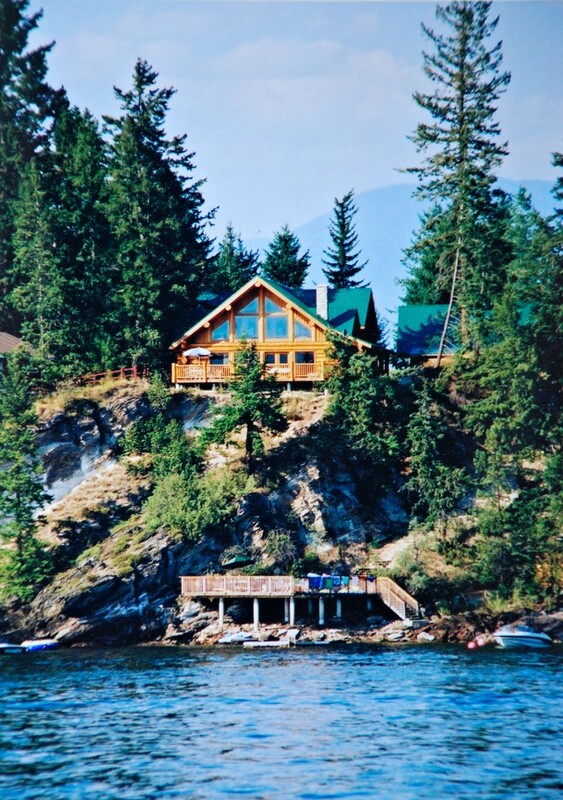 Call us about modifying a log home plan or working with a draftsman to create your custom log dream home.